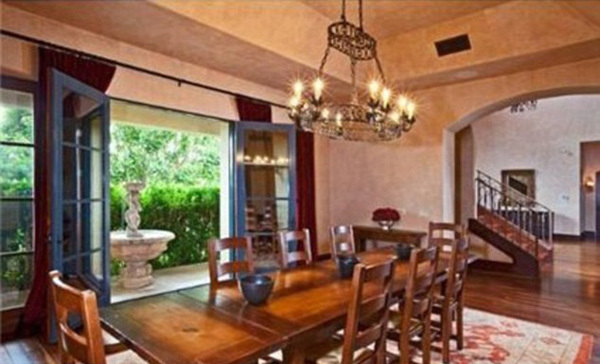 Avril Lavigne puts her $9.5 million Bel Air marital manor for sale. Constructed in 2003 it only had one owner Blink 182’s Travis Barker. Well, it’s beside Avril Lavigne and her former husband Deryck Whibley who have put their marital home for sale for $9.5 million. The 12,184 square-foot Bel Air manor boasts eight bedrooms and ten bathrooms as well as wonderful ‘canyon views’. 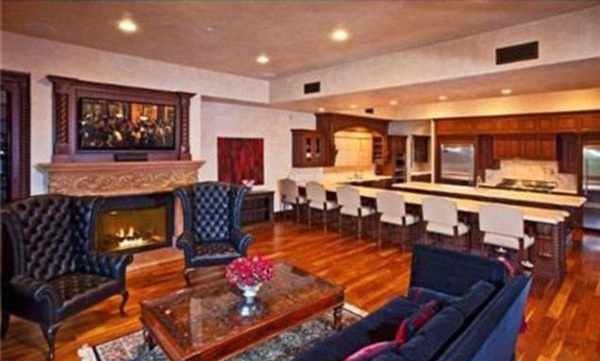 The mansion may be familiar to those who watched Meet The Barkers with former owner Travis Barker and his wife. 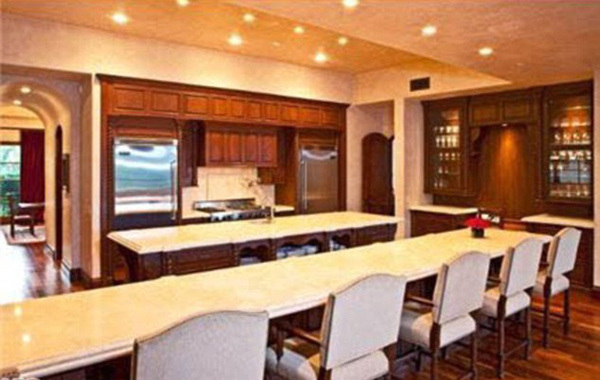 The Bel Air Mediterranean manor is located at Bel Air Crest and has lots of wood finishing. There’s wooden touch from floors to doors and windows but also the manor is finished with Venetian plaster. 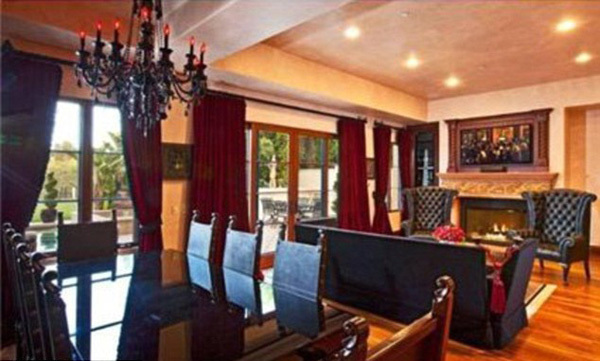 The living room features lush design and decorations like red velvet curtains and black chandeliers. Somewhat Gothic style. There are adjoining rooms that create spacious areas in the manor. The dining room opens up to the courtyard with greenery and beautiful fountain. The outdoor area also boasts a swimming pool, eating area, spa, kitchen and BBQ, huge lawns. The manor is very extensive so there can be found a wine cellar, extensive home gym with sauna, car garage that can inhabit ten cars, laundry and many other specialty rooms. The manor is truly luxurious and also allows privacy. Aside from darker furnishings the warmth of Mediterranean style clearly shows through in sand color walls, wood and architecture itself. I guess you could try websites like http://www.realtor.com/blogs/tag/celebrity-real-estate/ to find the information you need.